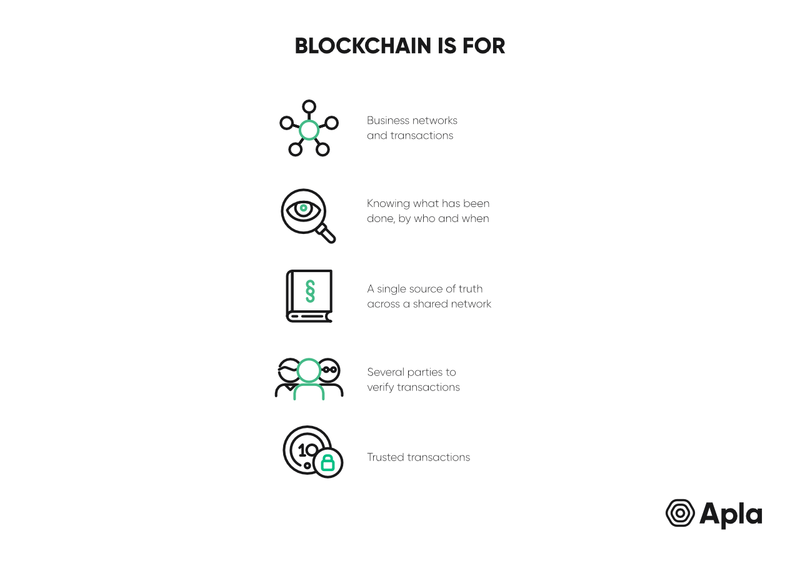 Blockchain offers a whole range of benefits to both the public and private sectors, with less time needed to make decisions, improved data accuracy, dis-intermediation in business processes and staffing. New internet technologies that form part of the next generation web show much promise to overhaul how the world works in several ways. One such technology is blockchain, which is built on a system of distributed ledgers, with the aim of increasing transparency via decentralization. But just what is blockchain, and how can it be implemented in your organization? A blockchain is an incorruptible ledger of data transactions that keeps records in chronological order. It is based on distributed ledger technology (DLT) that decentralizes data storage across a network of computers. The data entered into the blockchain is linked to previous and future blocks of data by a cryptographically secure algorithm, meaning once data has been entered and validated, it can no longer be altered. This is of great use when applied to things like finance, but blockchain can be deployed for a whole range of uses, particularly when there are several contracting parties taking part in a certain process. Having data stored across a shared network means that contracting parties all have access to the same data. The current organization of many processes has led to data siloing, in which each party to a particular transaction holds their data separate from others. In larger organizations or governments, data is often siloed departmentally, meaning within separate and sometimes different data sets about the same thing within one organization. In a blockchain network, all data is stored within one system, meaning transactions can be checked at any time. This in itself brings about further accountability, whilst the immutable nature of the transaction register means records cannot be arbitrarily altered. Process transparency is important where parties cannot or do not necessarily trust one another. The blockchain offers a “trustless” environment in which contractors do not have to trust each other, but have faith in an open system. This in itself brings down audit and legal costs, whilst data being held within one system means everyone is on the same page and does not have to maintain their own separate databases. In light of the fact that the data recorded cannot be retrospectively changed, to verify when a certain event took place and was recorded on the blockchain, one can easily refer to the registry and see the data they require. This could be data about the time of an event, where it happened, etc. This means that the full lifecycle of a product can be tracked from its very origin. Within business, provenance allows to be sure of not only where a product or raw materials come from, but also is a useful feature to see how and which individuals have taken certain actions throughout a product of service lifecycle, bringing greater accountability. Furthermore, this feature offers benefits for consumers who are able to gain access to reliable data on the products they consume. We live in a world where more and more processes are being automated to free up time. One additional feature of many blockchain is smart contracts: self-executing pre-negotiated agreements that come into force when events take place. Smart contracts also follow on from the principle of disintermediation since they are self-enforcing. The events that trigger the execution of a smart contract are logged in the blockchain, as are the consequences of the contract’s execution. 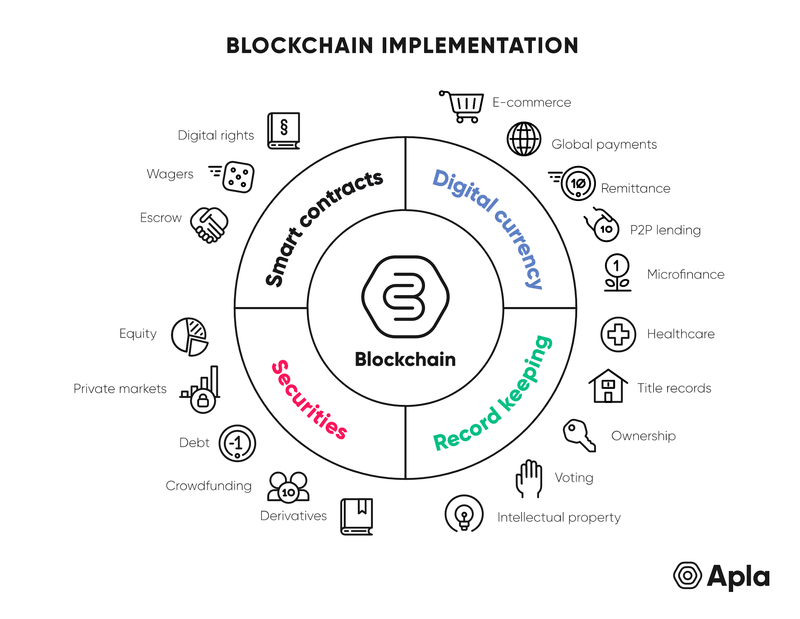 The application of blockchain-based smart contracts in business processes provides for the automation of many actions, thereby increasing operational efficiency. Smart contracts can automate any data transactions that can have real-world consequences, i.e. triggering an insurance payout following a natural disaster. Many organizations can implement blockchain, but it is important to bear in mind that its ultimate use comes from when there are several counterparties that need to have data consistency through consensus, and generally do not trust each other. As such, blockchain becomes an independent source of data that unifies data sets, and is accessible to all on the same level. This provides protection from data falsification, which, in turn, makes it simpler to plan and forecast further actions. Moreover, the paperless nature of blockchain brings greater accessibility, since the data can be verified from anywhere with only the internet connection, whilst process automation is facilitated by smart contract application. Blockchain offers a whole range of benefits to both the public and private sectors, with less time needed to make decisions, improved data accuracy, disintermediation in business processes and staffing. Whilst adoption rates are still low due to high costs and reluctance to overhaul legacy systems, we can expect blockchain to seamlessly integrated in many aspects of business and wider society over the coming years.